In real life, the work done by ramp agents is not paid for by the airport but by the airline. When you look out your airplane window the people loading bags have safety vests that have a company name on it. The airline pays for this to be done. These companies all have a facility at the airports that they do work at. They also pay for their own vehicles and storage for them and pay for their workers. We could have the star system that would make it so the best ramp agent services that service the most airlines would need larger warehouses. More airlines would use these high star services so the better the service the more airlines available. It could be a requirement when signing an airline that their contracted ramp agent service has a facility at the airport. 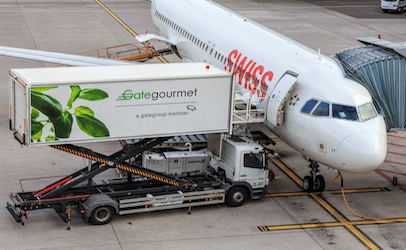 Also for catering, it could be a requirement that the airline’s selected caterer has a facility at the airport. The ramp agents that work at the baggage hub would still be paid by the airport. Since these services no longer are the responsibility of the airport, the airport could charge fines for flights being delayed. It will allow for more realism in the game. It would create a better contract system with airlines because they would require that certain ramp agent services and catering companies have facilities at the airport. This would be cool I like the idea.